Come and enjoy the best that Strandhill has to offer, with a fantastic two night activity break for two people that will exhilirate and relax! 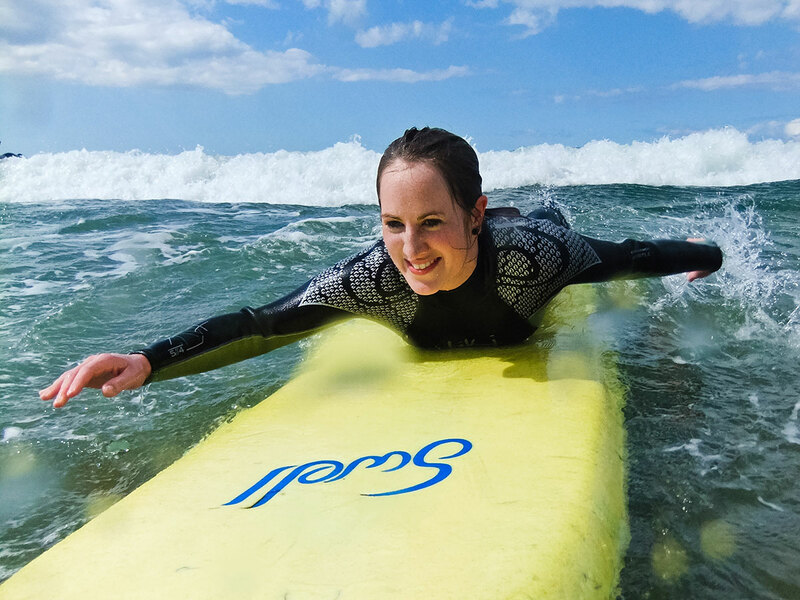 Accommodation will be two nights in a Deluxe Room with Balcony and seaview at the award-winning Strandhill Lodge & Suites. 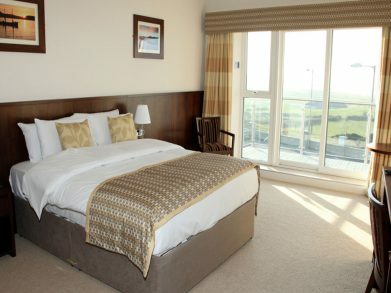 This 4 star boutique hotel is the firm favourite amongst TripAdvisor guests and has spectacular views of the Atlantic ocean and the magical sunsets that Strandhill is famous for. You will also be able to enjoy a surf lesson for two with one of our premiere surf schools on the beachfront, all equipment is provided. Afterwards you can look forward to a Deluxe Bath & Steam at Voya Seaweed Baths. Seaweed baths have been a tradition in Ireland for hundreds of years and are Ireland’s only indigenous spa therapy. The seaweed bath utilises the natural power of Voya’s hand-harvested seaweed to deeply moisturise your skin, increase circulation and promote healing. All of this for the price of €115 per person sharing or €230 for the two nights. Offer valid only for stays from 1st October 2018 until 14th October 2018 inclusive. Purchase of this voucher is not a guarantee of accommodation or availability. 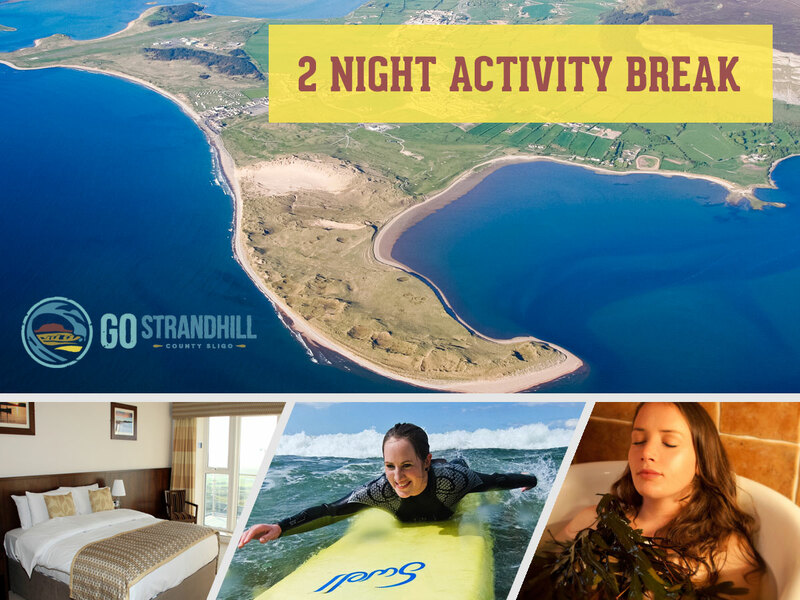 The customer needs to enter in contact directly with Strandhill Lodge & Suites to enquire with regards to availability and reserve their stay, prior to travel.